An electronic cigarette is an electrical device that is capable of stimulating tobacco smoking. However, an electronic cigarette does not rely on producing smoke that people are supposed to inhale. With electronic cigarettes, people actually inhale vapour, which is said to have the same appearance as tobacco smoke. In fact, this vapour provides people with the same sensation that they can get from real cigarettes. The best thing about an electronic cigarette is that it is very simple, both when it comes to its design and the way it is used. These devices are relatively new, but they are catching on very rapidly. First of all, there is a battery, which is usually the largest part. Batteries are said to last for a very long time and some of them are equipped with some electronic circuits which make the cigarette glow like the real thing. Vapour is produced due to a liquid solution that is heated by the heating element (the atomizer). This liquid solution is located in the mouthpiece, which is also known as the cartridge. Of course, these liquid solutions come in many different flavours and there are different doses of nicotine present in the solutions and people can choose them according to their needs and desires. When it comes to how they look, most often, they look like real tobacco cigarettes, but there are other styles in which they come (pen-style cigarettes, electronic cigars and others). They can also be disposable and there are those with replaceable cartridges or cartridges that can be refilled. It all depends on the users and what they want and need. 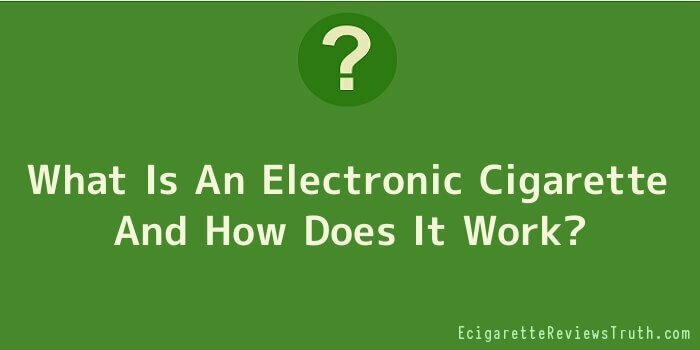 In case you didn’t know, there are many good things about an electronic cigarette. First of all, by using an electronic cigarette, you are not doing anything dangerous for your health because there is nothing harmful in these devices. All the ingredients are considered to be safe and one of the main ingredients is actually water, which is obviously as safe as it gets. Furthermore, because these devices are electronic and there is no actual smoke or flame, there is no danger of fire; there is no ash, no tar and no cigarettes butts. And finally, there is no smell because electronic cigarettes are odourless. Because of all this, they can be used practically anywhere. Also, with an electronic cigarette, people actually have some control over what they are inhaling. Namely, cartridges differ with respect to how much nicotine they contain. There are four main doses to choose from – zero, low, medium and high. This way, everybody has a say in what their electronic cigarette will contain, which is certainly a major advantage. Clearly, an electronic cigarette is a revolutionary device that has many advantages. People have already realized this and many of them are already using these devices. They all seem to be quite satisfied with them because they do not only look like the real thing, but they apparently feel that way as well.